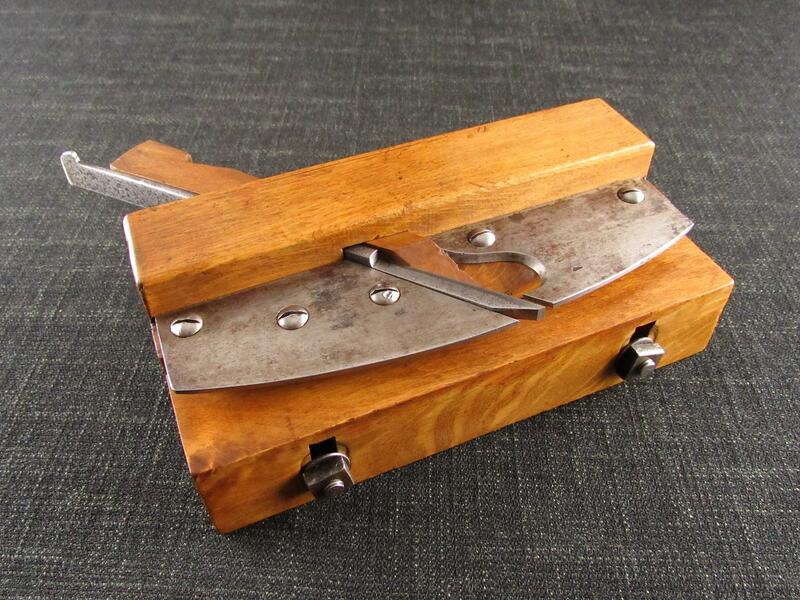 An attractive small wooden OWT router plane. 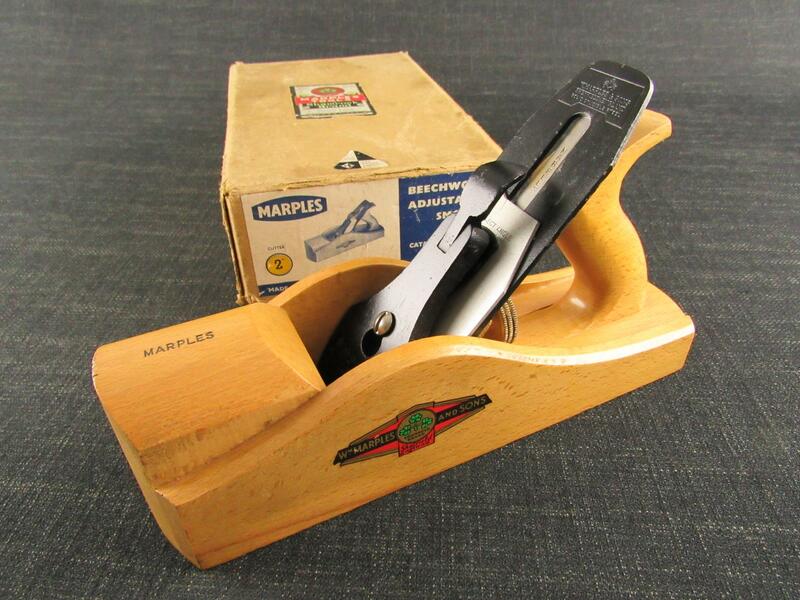 The nicely shaped beechwood stock has a pronounced toe to enclose the cutter. Fitted with a 3/8 inch wide SORBY cast steel cutter. Previous owner's stamps 'W.JAMES' and 'K.C.BLOWER'. 4 by 3 inches overall.